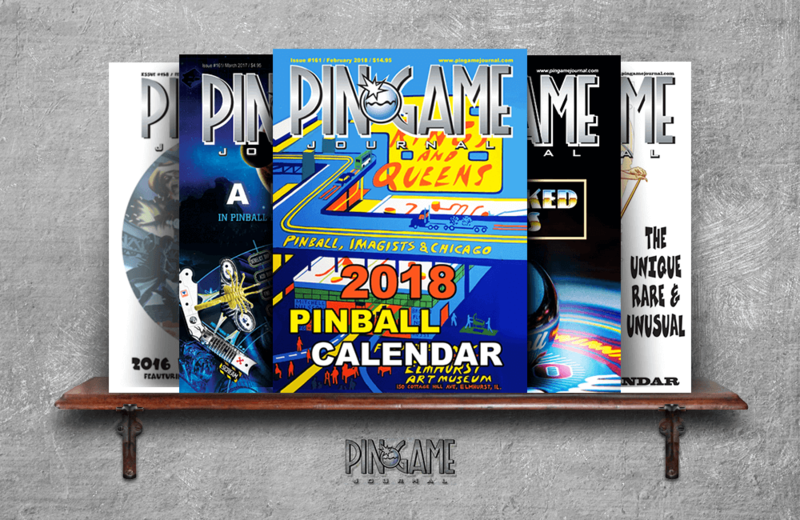 PinGame Journal is a magazine written by a collective of pinball aficionados to preserve the history of pinball and applaud the work being done by individuals dedicated to keeping the pastime alive and well. In the early 1940s to the mid-1970s, pinball was banned in many major cities within the United States. The government viewed pinball as a game of chance rather than skill and thus considered it gambling. That ban only succeeded in deepening the allure and ensuring pinball would thrive in the decades that followed. PinGame Journal is a print magazine published eight times per year that gives reverence to the game. Readers deepen their appreciation for the game’s history through profiles of former pinball game manufacturers, designers, and players. In-depth articles about leading authorities in the industry succeed at generating excitement for the current state of pinball and the ways in which it will evolve. It’s tempting to think of pinball as a distinctly retro pastime – the proliferation of retro-styled pinball arcades certainly perpetuates that assumption – but make no mistake, pinball continues to gain momentum as manufacturers develop innovative games to entice new generations into the game. Back issues of the magazine are available for purchase on their website. Many editions of PinBall Journal come with freebies that include promotional items, game flyers, and scorecard reproductions, making the magazine a must-have for collectors.